The University of Virginia governing board leader, who last year lost a prolonged power struggle at the historic campus in Charlottesville, took a key step toward victory Tuesday in a battle to stay on the board. The state Senate’s Privileges and Elections Committee easily approved legislation to confirm Gov. Robert F. McDonnell’s reappointment of Helen E. Dragas to serve on the U-Va. Board of Visitors through June 2016. The action came after the committee rejected, 12 to 3, an amendment from Sen. Janet D. Howell (D-Fairfax) to block Dragas’s confirmation. The bill now heads to the full Senate, where its prospects for passage seem strong; the measure also is likely to win passage in the House of Delegates. Dragas is backed not only by McDonnell (R) but also by at least one of his Democratic predecessors, U.S. Sen. Mark R. Warner. Even so, it is rare for the legislature to debate a gubernatorial appointment to a university board. I agree and applaud Dr. Franco’s comment. You are an intelligent man. Please help us understand your support of Ms. Helen Dragas. President Sullivan is deeply respected by the students, faculty, staff, administration, Board of Visitors, and the state of Virginia. 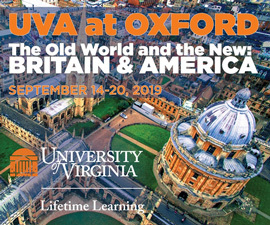 If, you have any question about the above, please read “The University of Virginia Magazine” ( Fall 2012). She is widely recognized as a perfect alloy of intelligence, integrity, diligence, and thoughtfulness. President Sullivan’s leadership skills are essential for the University to grow and maintain its reputation as one of the finest universities in the country.Simply said, President Sullivan has the interest of UVA in her heart and soul. However, the documented actions of Ms. Dragas are despicable. Holding a clandestine board meeting on June 10,2012 without the knowledge of the entire board, the faculty, the administration- including all the deans of the schools and disciplines- clearly demonstrates her desire to undermine our wonderful leader, President Sullivan, as well as the entire University. Ms.Dragas is not respected and cannot be trusted. We ask you,Gov. McDonnell, the following question- if you had a powerful lieutenant on your team with a history that Ms Dragas clearly demonstrated, could you effectively lead the state? The answer is obvious- no, you could not be an effective leader. 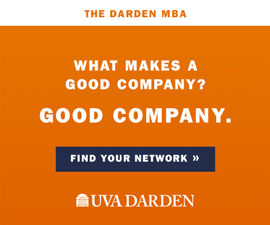 We ask you to please remove your political bias and do what is best for the University of Virginia- remove this unscrupulous individual, Ms. Dragas, from any leadership position with the University and allow President Sullivan, our incredible leader to continue to guide and direct Mr. Jefferson’s inimitable institution. I applaud Senator Howell for demonstrating sound thinking, and regret that her intelligent amendment did not secure enough votes. If last year’s controversies and extravagant demonstrations of poor judgment on the part of Dragas did not lead the governor and House of Delegates to look for others more capable of enhancing the Board of Visitors, it is hard to imagine what would. difficult images. Seriously, I had a lot to say about Helen Dragas. But, no problem. No more waste of time.